Russian President Vladimir Putin may visit Turkey in October. A spokesman of Russian President Dmitry Peskov informed yesterday, commenting on the statement of the chairman of the Turkish Union of Chambers and Stock Exchanges Rifat Hisarciklioglu, who reported about the possibility of Putin’s visit to Turkey in October. Before the expected visit of the Russian leader to Turkey, the head of the Center for Turkish-Russian Studies, Aydin Sezer, and expert of the Strategic Outlook Institute, Mehmet Fatih Oztarsu, spoke about the issues of bilateral cooperation that will be discussed during the visit and it will affect the relations between Moscow and Ankara in an interview with Vestnik Kavkaza. 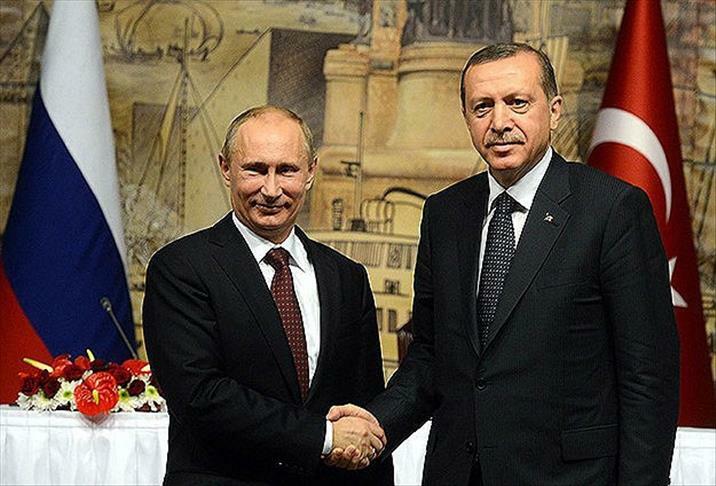 Aydin Sezer noted that Putin’s visit to Turkey in October was already predicted by Turkish experts. “The thing is that Erdogan’s visit to the United States some time ago did not meet the expectations of Turkey: the issues of extradition of Fethullah Gülen and the request for the US military to stop assisting Syrian Kurds remain a bone of contention between the two countries, making cooperation impossible. In these conditions, there is still a severe crisis in Turkey’s relations with the US and the EU. Ankara must at least find a common understanding with Moscow in the Syrian issue, which, of course, will bring our countries closer,” he pointed out. According to him, it is no exaggeration to say that today Russia is able to become a “window” to the outside world for Turkey. “On the other hand, economic ties are of great importance in the bilateral relations, since both countries are going through a crisis today. In order to overcome these problems, joint efforts of Moscow and Ankara are necessary,” he stressed. Expert of the Strategic Outlook Institute Mehmet Fatih Oztarsu drew attention to the fact that Putin’s visit will contribute to positive changes in important matters, and also added that after “the policy of apologies” of Turkey it will be the first serious step made by Russia. “We will restore relations in crisis issues and, without a doubt, discuss the abolition of visas for the development of tourism and trade. The energy issue is also very important, especially the ‘Turkish Stream’ project. Discussion of the energy sector will become a joint message to the West,” he said.